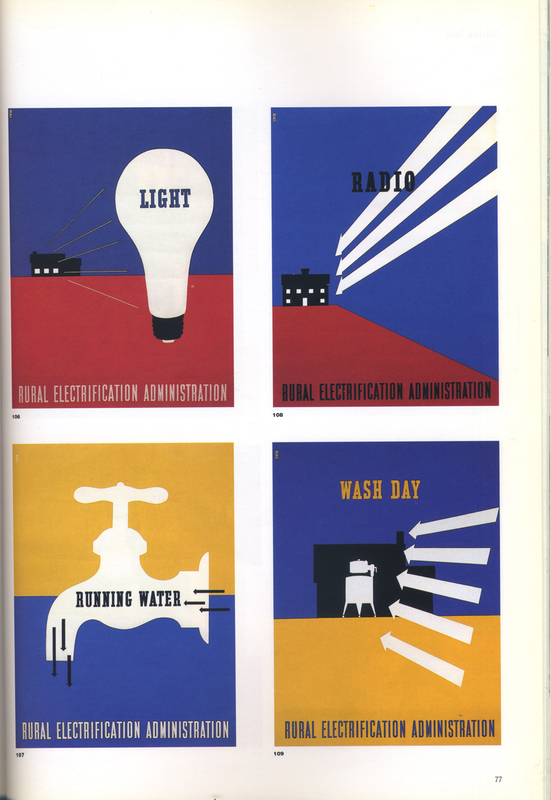 “Graphic Visualization and Visuality in Lester Beall’s Rural Electriﬁcation Postrs, 1937” by Michael Golec in the Journal of Design History (vol. 26, no. 4) 2013, pp. 401–415 is a prime example of what is wrong with design history in academic journals. 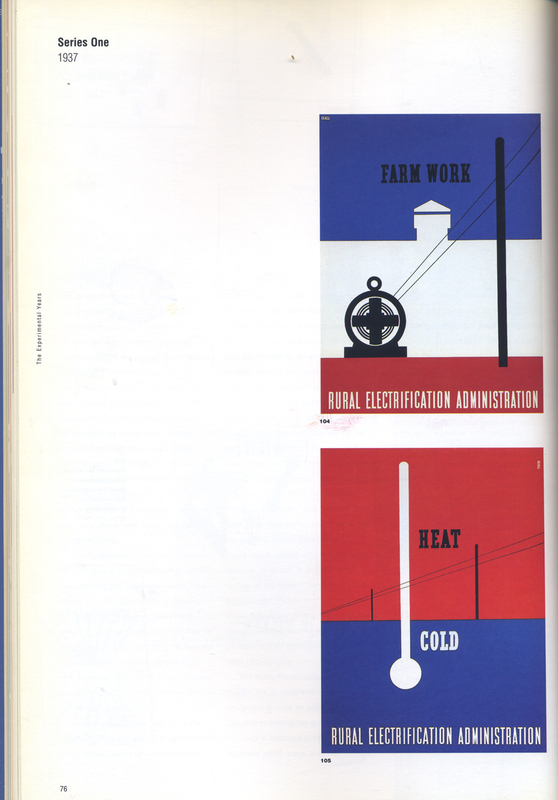 The article contains no full or full color images of Lester Beall’s iconic posters for the Rural Electriﬁcation Administration. They do appear in the background of two REA photographs from 1938 (ﬁgs. 4 and 5). But they are obscured by women standing in front of them—and, more importantly, they are in black and white which nullﬁes much of their graphic power. For someone to fully appreciate Golec’s article—which is interesting despite its lapses into academic jargon—it is necessary to have a book such as Lester Beall: Trailblazer of American Graphic Design by R. Roger Remington (1996) at hand where those from Series 1 (1937) are arrayed on pp. 76–77 (see below). Farm Work and Heat/Cold posters by Lester Beall (1937). Is the absence of full color images of Beall’s posters due to economic constraints, copyright impediments or something else? Unlike Design Issues, which astoundingly is still printed entirely in black-and-white, the Journal of Design History does include some color images so that cannot be the obstacle. I doubt that copyright is a problem since the posters not only appear in Remington’s book but in a number of others. So what is the explanation? I have no idea.